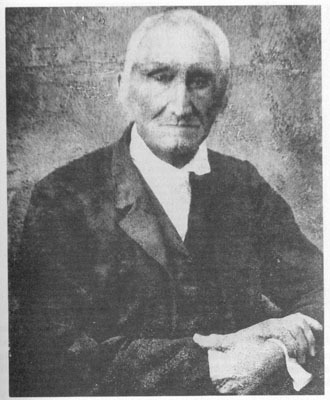 This is a portrait of Benjamin Parks, who is credited with being the first white man to discover gold in Georgia, in 1828, near what was to become Dahlonega. Source: Williams, David. The Georgia Gold Rush, Twenty-Niners, Cherokees, and Gold Fever. Columbia, SC: The University of South Carolina Press, 1993, unnumbered page following page 48.